Lara is washing dishes in the sink. Her hands in yellow gloves are submerged in hot water. 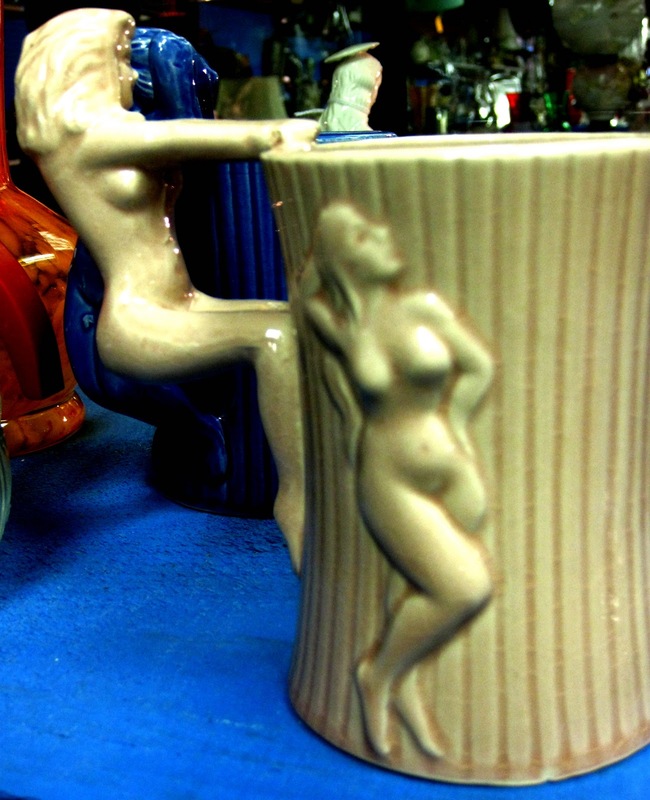 She lifts a mug and two women surface, like porcelain sirens. Water drips from their nubile bodies. Lara can hear the soft crackle of soap bubbles popping. She sighs. She'd found the girlie mug at the secondhand store. It was supposed to be a peace offering, for Peter after their long days of silence. There's a ring of coffee residue at the bottom of the mug. Lara sticks her gloved hand inside it and scrubs at the bottom with a cloth. Would it have been better if Peter had just had the damn affair? If he hadn't asked her permission first? At Luigi's restaurant, he posed the question between dinner and dessert. "It's not that I don't still love you, Lar," he'd said, "it's just that I have needs. And you just don't seem that interested anymore." She'd said no. Absolutely not. Out of the question. They drove home without speaking. After that, silence seemed to follow them wherever they went. It filled up the rooms of their house. So when Lara stood in the store with tears in her eyes and saw this mug sitting there, she thought it was just the thing. To make them laugh. To scoop up some of that horrible silence with. The bottom of the mug has come clean. Lara uses a towel to dry it, wiping those female bodies gently, like a lover. She puts the mug back on the shelf, where it will sit until tomorrow morning, when her husband will want it to use it again.